The world?s most insane off-road rally race returns to the consoles bigger and badder than ever before with Dakar 2: The World's Ultimately Rally. Choose from a vast assortment of fully licensed trucks, cars and motorcycles in which you'll compete against the elements that mother-nature has placed in your path to victory. This is a no holds barred quest for world rally supremacy! 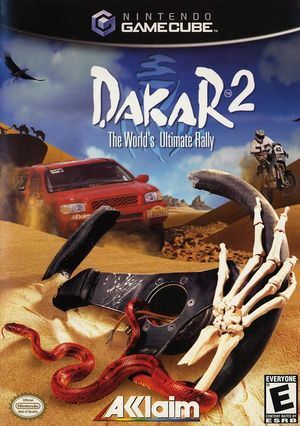 The graph below charts the compatibility with Dakar 2: The World's Ultimate Rally since Dolphin's 2.0 release, listing revisions only where a compatibility change occurred. This page was last edited on 23 October 2017, at 18:53.